These tiny particles seriously affect people's physical and mental health and are the major contributing factor to the premature deaths of an estimated 5.5 million people around the world, every year. The influence of these particles on climate is also responsible for the largest contributory uncertainty to manmade effects on the radiation balance affecting climate change. Lead author, Professor Gordon McFiggans, from Manchester's School of Earth and Environmental Sciences, explains: "It has long been recognised that we need to consider the full mixture of vapours when predicting the amount of secondary pollutants such as ozone. 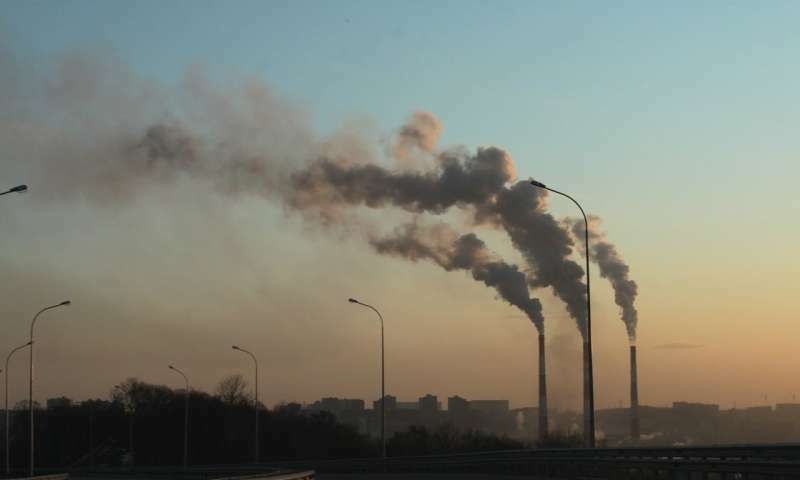 "Our findings now show that we also need to know what manmade and natural trace compounds are present in the real atmosphere in order to quantify particulate pollution." Professor Thomas Mentel, co-author from FZJ, added: "By carefully designing the experiment, we managed to understand two different ways that the amount of particles formed are reduced in mixtures. We have found that the trace compounds not only compete for the reactant, but also the products of these reactions can themselves react to prevent efficient particle formation. "By including this experimentally observed effect in a global air quality model, we have shown that the fine particle mass can be substantially affected under real atmospheric conditions, not just those in the lab." Professor McFiggans concluded: "Our work provides a roadmap towards understanding the future contribution of particulate matter to air quality and climate. By including these results and those from further experiments into numerical models, we will be able to provide the right advice to policymakers." "SOA comprise of extremely small particles and are made in the atmosphere from natural and man-made emissions. They are produced through complex interactions between sunlight and volatile organic compounds from trees, plants, cars or industrial emissions." Airborne particles from plants and trees, as well as mold and fungi are all natural byproducts of planet Earth. For such natural particles such as pollen dust, etc. - manmade face masks that fit the human face, nose and mouth tightly should help prevent sufferers with allergies. Manmade emissions are far easier to control with good technological advances. Emphasis on non-pollutants like C02 has resulted in increased levels of real pollutants like S02, NO, soot, etc.